Meet the beautiful Enoch. I love this boy, he has the most gracious face. 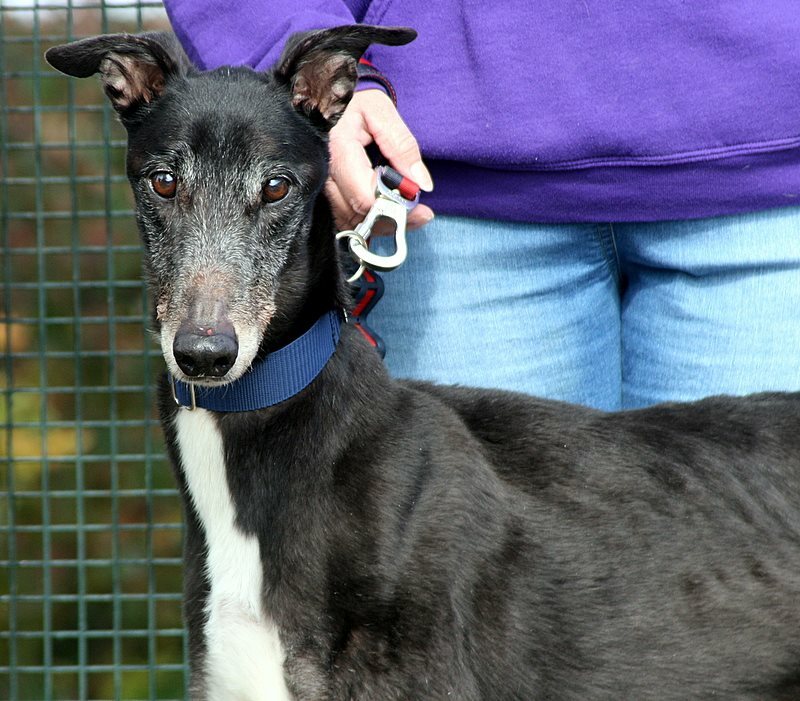 Enoch is one of our beautiful Canidrome babies and is now through veterinary treatment and fully assessed. Enoch is 6 years old. When Enoch landed with us he was a skinny boy with a mouthful of rotting teeth and the bottom 3 vertebrae on his tail was damaged. Sadly that meant that a knock on it would not heal so it had to be removed. 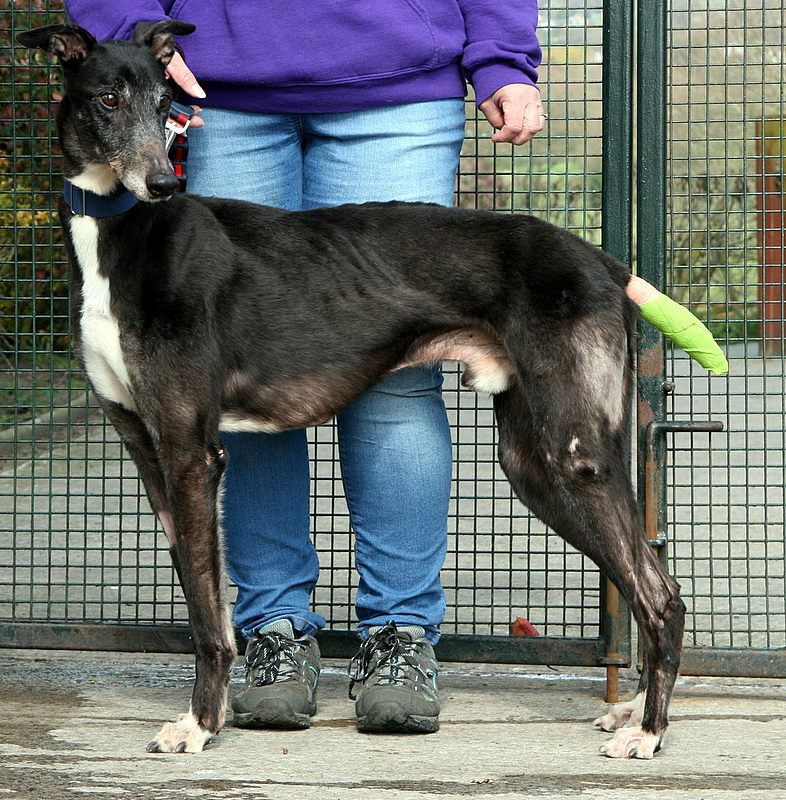 The tail is looking fabulous now but just bandaged to ensure he does not knock it again in the kennels and all his teeth bar the remaining 4 have been removed. 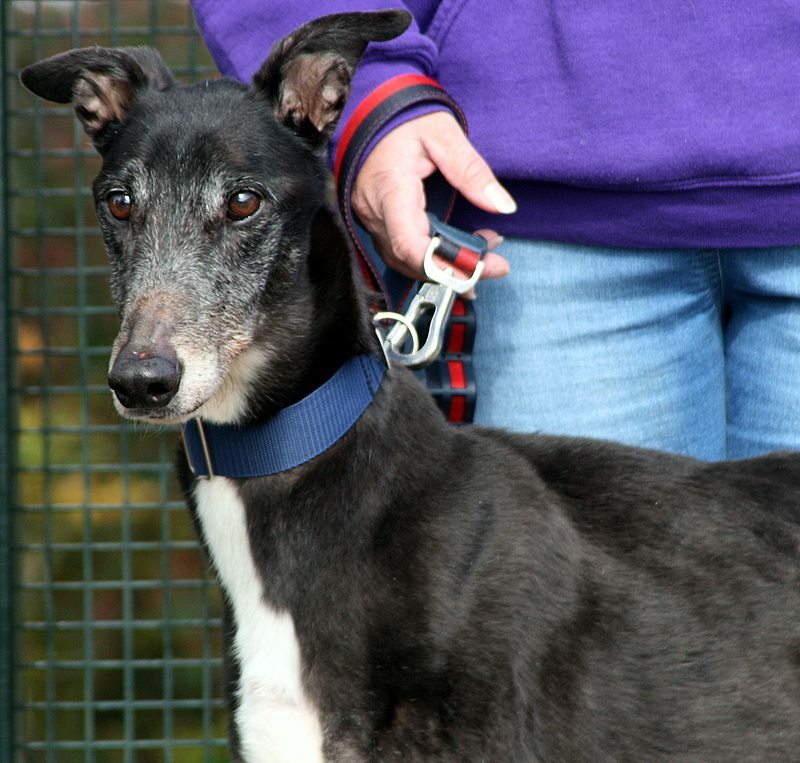 Enoch is a very loving boy and much more a people dog than a dog dog, he can be a little shy and nervous to begin with but soon warms up to you, a lazy boy he loves his beds but equally adores his walks and being out and about especially now the sun is shining. 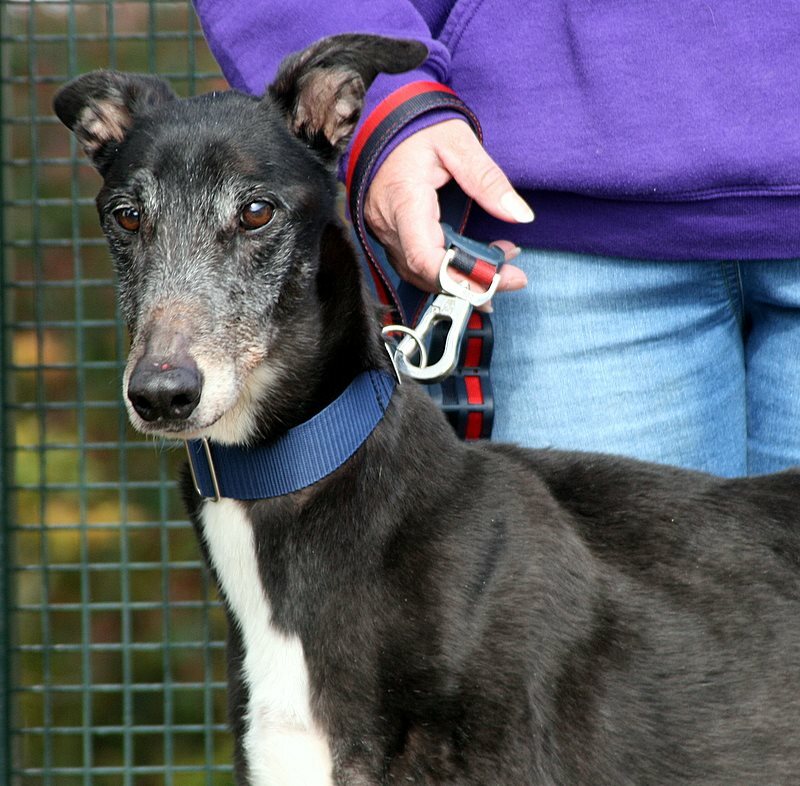 Enoch could be rehomed with a female greyhound or medium to larger breed dog if they were very laid back or we feel would be equally happy as an only dog. Out and about he walks well in the main but does still need some gentle socialisation to help him understand about breeds of dogs other than greyhounds. 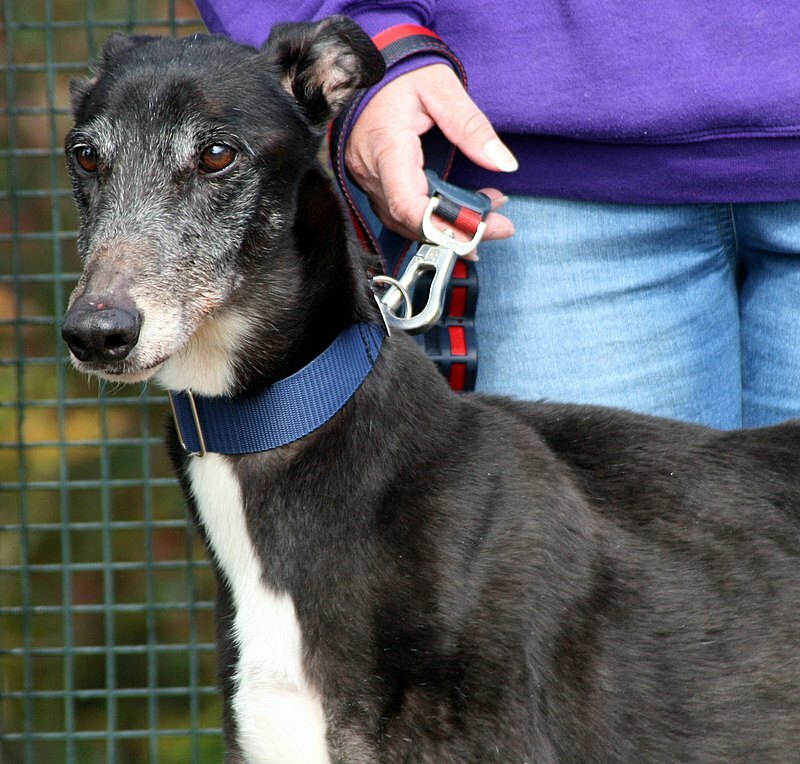 Enoch can be rehomed with dog savy children 6 upwards but most definitely not with cats or small furries. 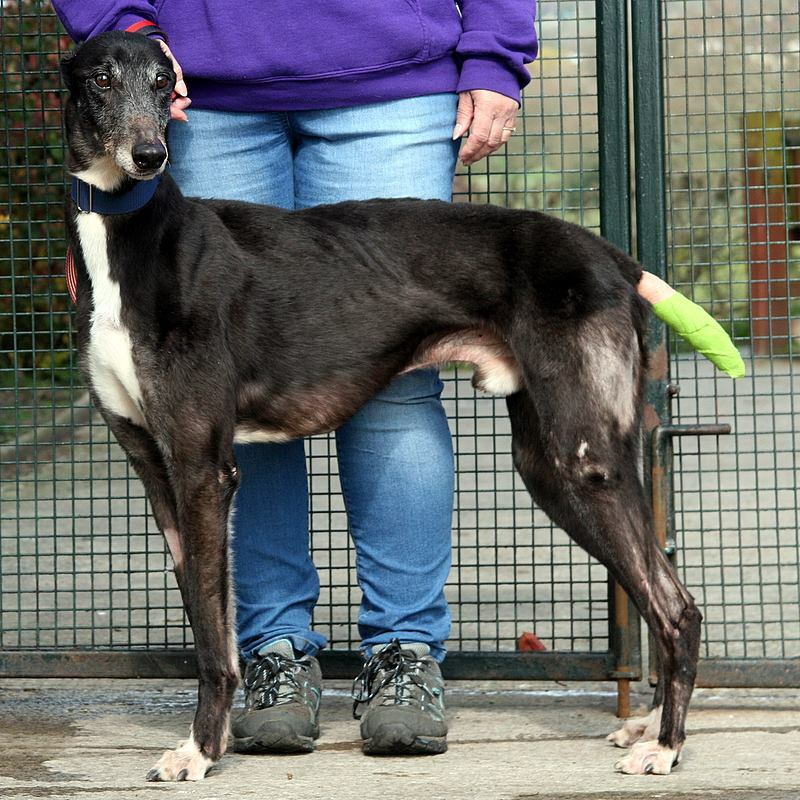 Considering all this boy has been through he has not let it damped his spirits and we really do hope its not long before he finds a fabulous sofa of his own to grace.